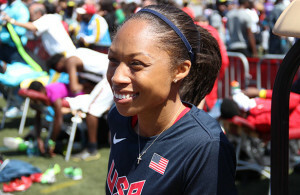 After both running the NCAA’s No. 2-ranked times in their events in Friday’s (Jan. 22) qualifiers, Louisiana State University (LSU) juniors Jordan Moore and Nethaneel Mitchell-Blake took one step further in Saturday’s finals as they both clocked NCAA-leading personal bests (PB) to headline the inaugural Conference Clash Power Five Invitational at the Birmingham Crossplex in Alabama. Moore won the men’s 60m hurdles with a PB 7.69secs in the first final of the day, while Mitchell-Blake followed late in the afternoon with a lifetime best of 20.57 to win the men’s 200m. In the wake of his performance on Saturday, Moore is off to a flying start to his junior season with the Tigers, emerging as an early season NCAA-title contender and All-American candidate. 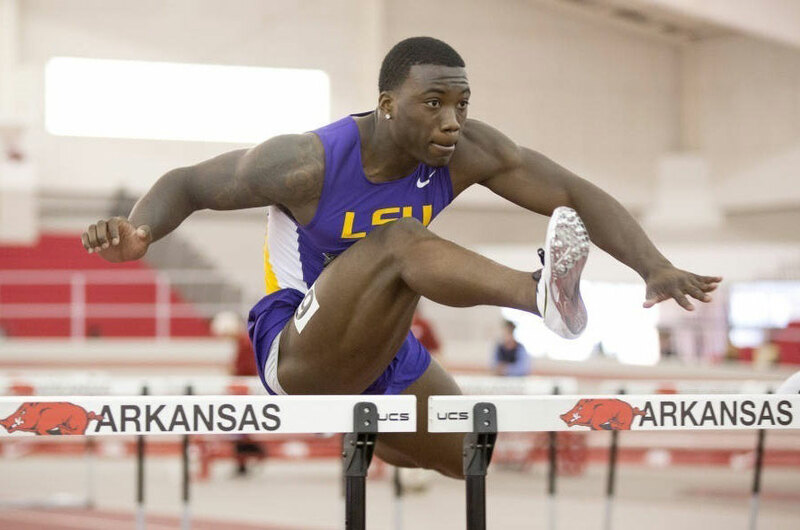 Just one day after clocking his fastest 60m hurdles as an LSU Tiger with the top time in qualifying at 7.76 on Friday night, Moore returned Saturday for what is sure to be the first of two appearances this season and cruised to victory over his Southeastern Conference rivals. He register a national-leading time of 7.69, finishing two tenths of a second ahead of South Carolina’s Isaiah Moore in second place at 7.89 and Gamecock senior teammate Dondre Echols in third with a time of 7.91. Alabama’s Angelo Goss also broke eight seconds in the final with 7.95 for fourth place. Moore tied as the second-fastest 60m hurdler in the program history and overtook the previous NCAA-leading time of 7.71 by Syracuse standout Freddie Crittenden III’s set just one week ago. He trails only Barrett Nugent’s school record of 7.55 while tying former NCAA Indoor finalist Ryan Fontenot on LSU’s all-time indoor performance list. Moore, who ran a seasonal best (SB) of 7.80 in his debut season with the Tigers a year ago, set his previous PB of 7.70 during his true freshman season with the TCU Horned Frogs back in 2014. In the men’s 200m final, Mitchell-Blake advanced with the top time in Friday’s qualifying with an indoor PR of 20.89. He took three tenths of a second off that season-opening performance with a lifetime best of 20.57 to beat Tennessee’s Christian Coleman (20.70). It was the fastest 200m run by an LSU Tiger indoors in three seasons when former All-American Aaron Ernest ran his indoor PB of 20.56 as a sophomore in 2013. Mitchell-Blake eclipsed an NCAA-leading time of 20.86, previously held by Tulsa’s Bryce Robinson while becoming the fourth-fastest 200m sprinter indoors in school history and the fastest man in the event for the 2016 season. He also erased the Birmingham Crossplex facility record of 20.65 set in 2013 by former Jackson State star and World Championship bronze medalist Anaso Jobodwana’s. The Tigers and Lady Tigers will be back on the road this weekend (Jan. 29-30) with their first of three trips to the Randal Tyson Track Center in Fayetteville, Arkansas, for the Razorback Invitational running. ← Previous Story Will She or Won’t She?